The vCHS 1.0 plug-in I installed on my vCenter Server Appliance back in the Spring hasn't been working for a few months, so it is time to update to vCHS 1.5. In order for the plug-in to work, we need the latest version of the VMware vCenter Server Appliance, to make sure you are at the latest build version log into https:\\vcenteripaddress:5480. Click on the Update tab, make sure that the Appliance Version is 5.5.0.20200 Build 2183109. If you are running an older version of the appliance, click on Check Updates and then Install Updates to acquire the latest build. 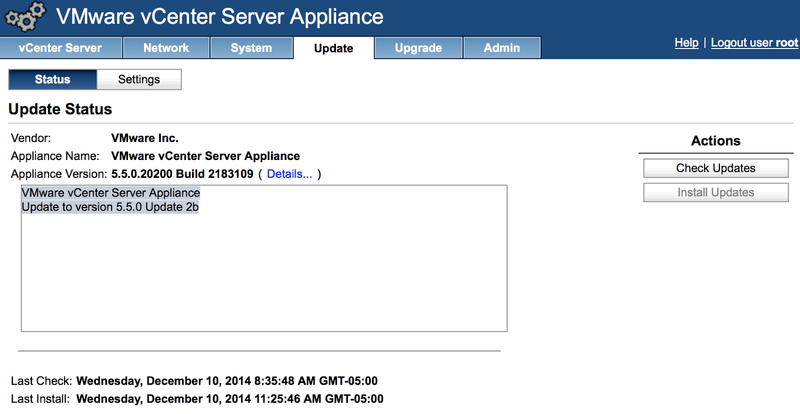 To start our process, we need to go to the vCloud Hybrid Service vSphere Client Plug-in Download page. From the Version 1.0 page, we need to download the Installer for vCloud Hybrid Service Plug-in. 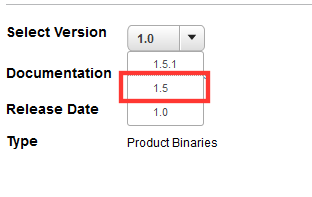 Change the Select Version to 1.5 on the myVMware vCHS download page. On the vCHS 1.5 page, we are going to download the vCHS Plug-in 1.5 file which is 133 MB. Select the Security button at the top, then click on the View Certificate button. On the Certificate Viewer page, click on the Details tab and click the Export... button. 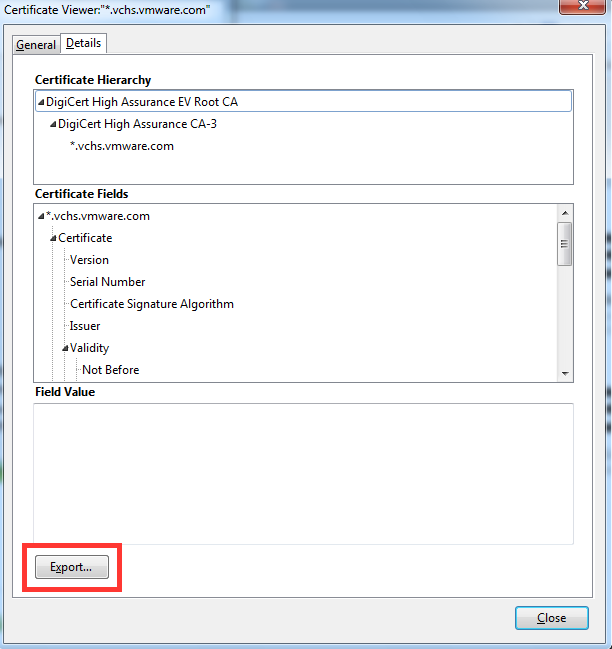 Save the file name as vchs.cer and keep the default Save as type X.509 Certificate (PEM). Extract the contents of the vchsplugin-installer-1.0.0_GA zip file to a folder called vchsplugin-installer. 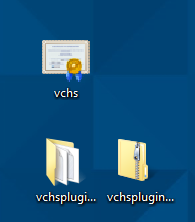 Now we should have three items on our desktop, the unzipped vchsplugin-installer folder, the vchsplugin-1981672 zip file, and the vchs.cer certificate. 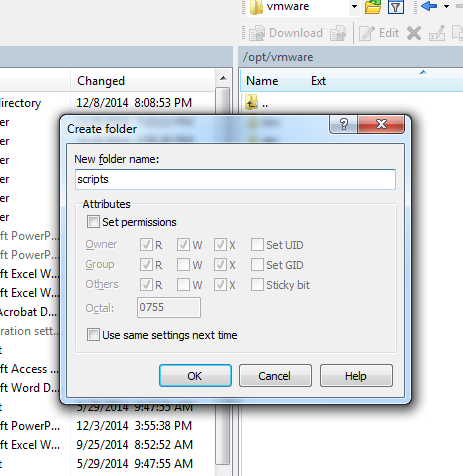 Use a tool like WinSCP to connect to your vCenter Server Appliance and create a new sub-folder under the /opt/vmware folder called scripts. Copy the vchsplugin-installer folder, the vchsplugin-1981672 zip file, and the vchs.cer certificate to the newly created /opt/vmware/scripts folder. Log into the vCenter Server Appliance using PuTTY, and change the director to /opt/vmware/scripts/vchsplugin-installer/bin folder. Run the . vchsPluginInstall.sh command to start the vCHS plug-in installation. 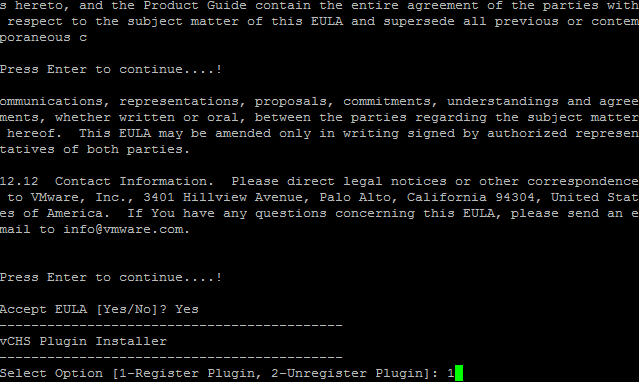 Scroll through the EULA agreement, and type Yes to proceed with the installation. Next select option 1, which is 1-Register Plugin and hit Enter. We now provide the vCenter URL, the Username, and Password. After you have provided your vCenter Server Appliance information, you are going to enter the installation directory for the vSphere Web Client, which is /usr/lib/vmware-vsphere-client and press Enter. When asked if you have downloaded the plugin already, type Yes. Then enter the fully qualified path to the zip file, which is /opt/vmware/scripts/vchsplugin-1981672.zip. You will then ask you if you have downloaded the SSL certificate for vCloud Hybrid Services and imported it into your keystore for the vSphere Web Client, we are going to do this procedure at the end so type No. 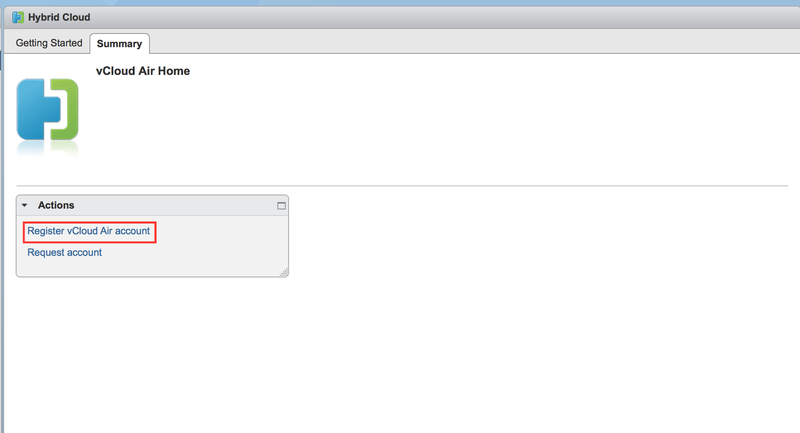 The final step is restarting the vSphere Web Client. Type Yes when asked to Restart now? 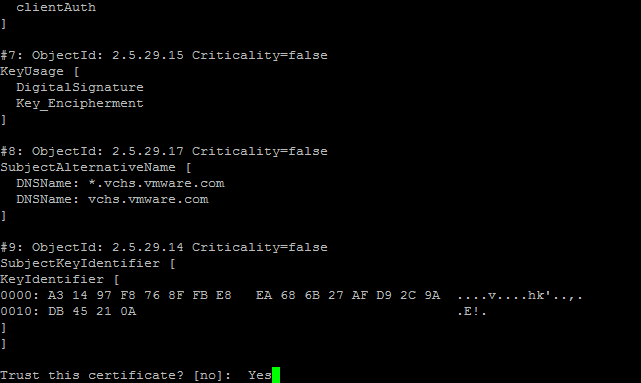 Now it is time for us to import our vCHS certificate into our vSphere Web Client keystore. We are going to type /usr/java/jre-vmware/bin/keytool -alias vchs -v keystore /usr/lib/vmware-vsphere-client/server/configuration/keystore -storepass changeit -import -file /opt/vmware/scripts/vchs.cer. It is going to ask you to Trust this certificate? type Yes and hit Enter. It should then tell you that the certificate was added to the keystore. When you log into the VMware vSphere Web Client, you will find the vCloud Hybrid Services option on the right-hand side. Clicking on the vCloud Hybrid Services will bring you to the Hybrid Cloud Getting Started page. 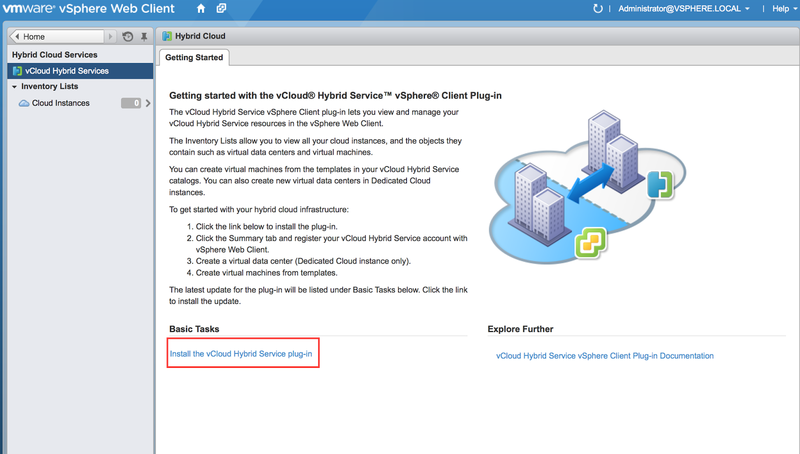 Click on the Install the vCloud Hybrid Service Plug-in, under the Basic Tasks. 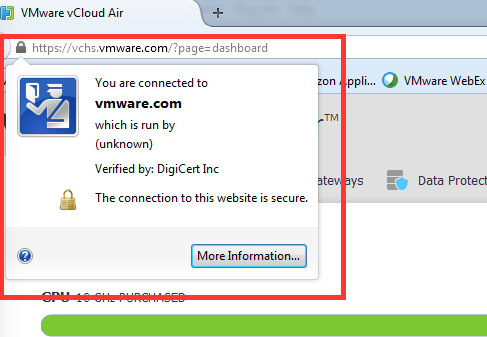 It will ask you to enter your myVMware.com credentials to download the vCloud Hybrid Service Plug-in. 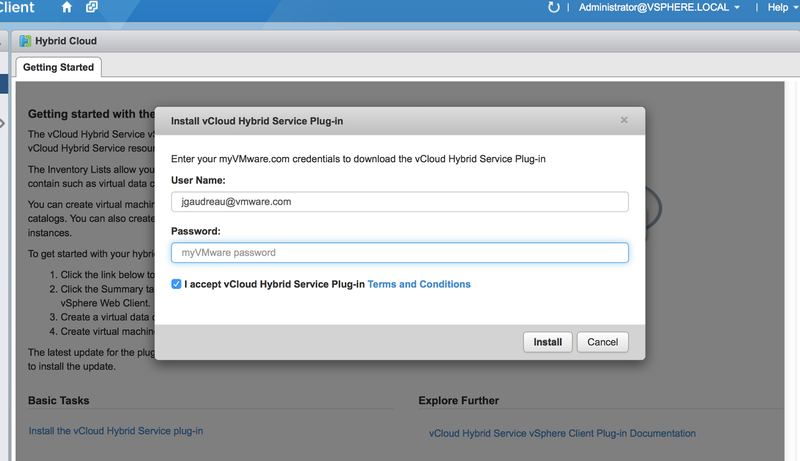 After you enter your credentials, it will show that is Downloading the vCloud Hybrid Service plug-in package. 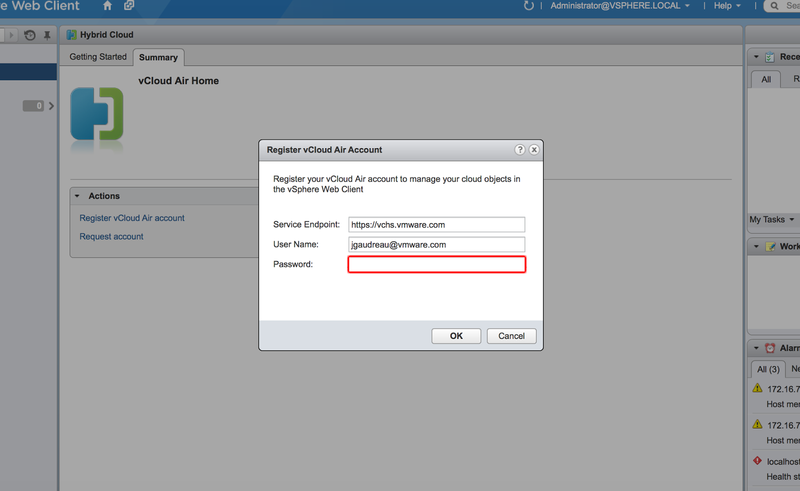 After the download is completed, select the Summary tab and click on Register vCloud Air account. 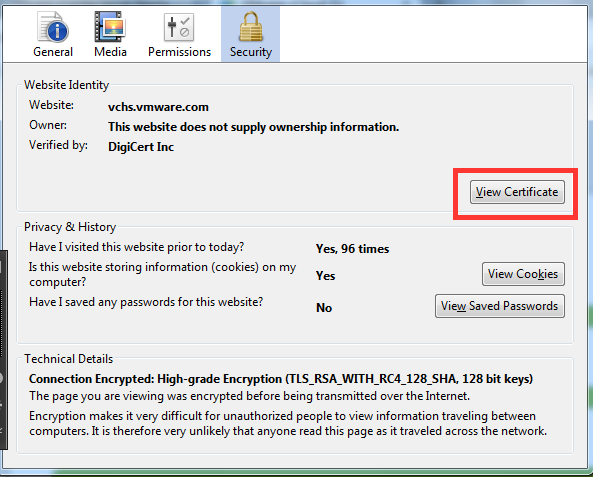 For the Service Endpoint, enter https://vchs.vmware.com; then enter your User Name and Password. After you have registered your vCloud Air Account, you will be able to browse your vCloud Air virtual data centers and the virtual machines.